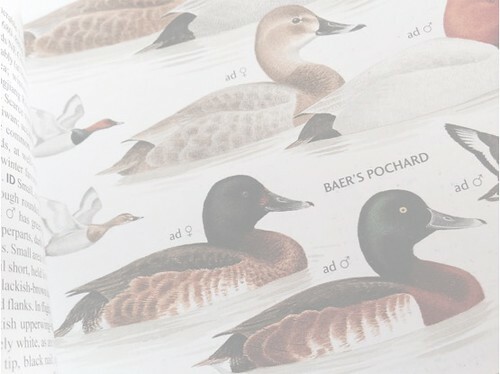 Eaaflyway > Partnership News > News > Baer’s Pochard: Cause For Optimism? Last week I was invited to Hengshui Hu in Hebei Province by officials from the German government-owned development bank, KfW. 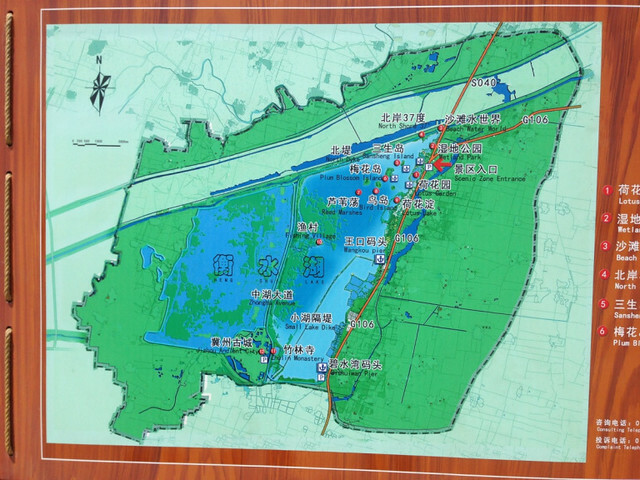 In partnership with the Hengshui Hu nature reserve and Hengshui University, KfW is beginning a project to support the sustainable management of this impressive wetland which, as well as supporting breeding populations of Reed Parrotbill, Blunt-winged Warbler and Schrenck’s Bittern, happens to be the most important known site for the ‘Critically Endangered’ BAER’S POCHARD (BP). I arrived at Hengshui Hu on the afternoon of 7 March and spent the last two hours of daylight checking the southern part of the lake. I recorded a minimum of 42 BPs as well as 21 Ferruginous Duck, at least 2,300 Coot, a handful of Smew and 2 Common Mergansers. However, as the light faded, I could see distant rafts of birds on the water in the more northerly part of the lake and I wondered what the morning would bring. On the short drive back to the hotel I was pleasantly surprised to see a banner with a large photograph of Baer’s Pochard draped over the road on the western side of the lake – public awareness! I’d arranged to meet Guido and Matthias from KfW and Dr Wu Dayong of Hengshui University the following morning at 0630 for a survey. As we began our walk along the causeway, we were treated to a wonderful morning with little wind, a temperature hovering around freezing and beautiful clear blue skies. Perfect conditions. It wasn’t long before we were encountering small groups of BP and, in the ideal conditions, we enjoyed some superb views of males and females. As we walked further we began to see some larger groups and, before we had even walked half of the causeway, our count was well over 200. 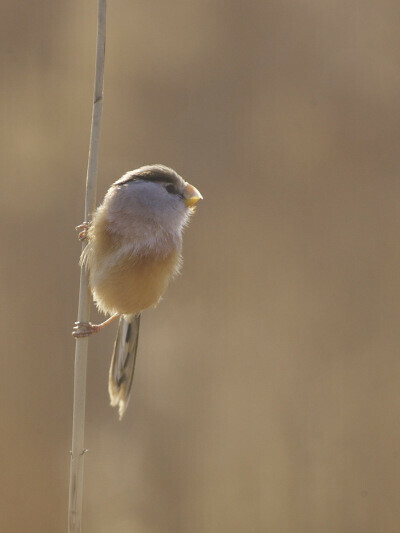 Soon after a stunning encounter with some of the local Reed Parrotbills, Guido and Matthias reluctantly had to leave to attend a meeting as I continued my walk. About an hour and a half later I met Dr Wu at the southern end of the causeway having counted 308 BPs, a new record for the site, eclipsing the 293 recorded by Paul Holt and Dr Li Qingxin on 9 December 2016. An additional 5 birds were presumed BP x Ferruginous Duck hybrids (some video of females and presumed hybrids can be seen here). After lunch with KfW and the nature reserve staff I held a short identification workshop with the nature reserve staff focusing on how to distinguish BP from the superficially similar, at least in female, immature and eclipse plumages, Ferruginous Duck. I hope to be able to provide some more support over the next few weeks to help the staff begin regular monitoring of the birds at this important site. On the 4-hour journey home I began to think about the future of BP. With two groups of Beijing-based scientists and conservationists, led by Dr Wu Lan and Dr Li Qingxin, already researching BP’s ecology and population dynamics, the creation of an international Baer’s Pochard Task Force, a new project at Hengshui Hu involving both local and international experts that will help take into account biodiversity in the management of the reserve, a clear understanding by the nature reserve staff and local academics of the importance of Hengshui Hu to BP, their willingness to begin regular bird monitoring, signs of public engagement and a record site count of BPs, I began to smile. Of course there is a long way to go to slow, halt and reverse the decline in the population of Baer’s Pochard but it appears some of the key building blocks are beginning to be put in place.